Improving Social Emotional Skills in Childhood Enhances Long-Term Well-Being and Economic Outcomes, an issue brief created by The Pennsylvania State University with support from the Robert Wood Johnson Foundation, is one of a series of briefs that addresses the need for research, practice and policy on social and emotional learning (SEL). SEL is defined as the process through which children and adults acquire and effectively apply the knowledge, attitudes, and skills necessary to understand and manage emotions, set and achieve positive goals, feel and show empathy for others, establish and maintain positive relationships, and make responsible decisions. Learn more at www.rwjf.org/socialemotionallearning. The Aetna Foundation's 2017 Cultivating Healthy Communities Grant Program is now open. This will be the Foundation's only open RFP this year. We expect to award up to $2 million in grants to organizations that increase opportunities for low-income, minority communities to make healthy choices in the places they live, work, learn, and play. Grant requests can range between $50,000 and $100,000 for projects that span 18 to 24 months. We seek partners whose work addresses pressing issues in the following domains: Built Environment, Community Safety, Environmental Exposures, Healthy Behaviors, and Social/Economic Factors. This will be a highly competitive funding opportunity structured in two stages. Stage 1 involves a short application. All eligible organizations are invited to submit an online Stage 1 application by April 14, 2017 at 3PM ET. Upon reviewing all Stage 1 applications, we will invite a smaller group of applicants to submit a full application for Stage 2. Please visit our website and read the RFP, which includes a detailed FAQ section, for more information and other materials to assist you in applying. Please join us at the first Annual Shared Risk and Protective Factor Conference. As prevention professionals, you have likely seen issues that are common​ among the youth, families and communities you work with - issues like poverty, families dealing with substance abuse, and youth who are not connected to or do not feel safe at school. 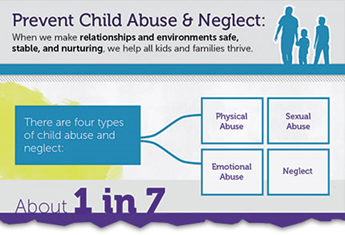 We often refer to these issues as "shared risk and protective factors. 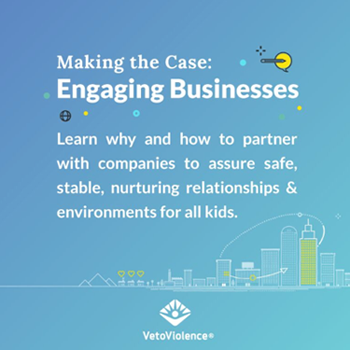 Implementing ​strategies that take ​a shared risk and protective factor approach creates opportunities to prevent multiple forms of violence, injury and substance abuse​, helping ​multiple programs and agencies​ achieve their desired outcomes​. This conference aims to create shared learning opportunities for partners in Colorado and neighboring states to connect their work using a shared risk and protective factor approach, network with community partners and share best practices. While much research on child maltreatment has examined individual and family level predictors of abuse and neglect, less emphasis has been placed on examining social contextual factors that shape its occurrence. This presentation is of a mixed-methods study which explored social dynamics of local community environments that may explain differences in maltreatment referral rates above and beyond known individual-level family predictors. Maltreatment referral data from Los Angeles and San Diego Counties in 2012 and 2013 were linked with American Community Survey data from the US Census to map community areas at the census tract level having unusual rates of child maltreatment referrals. The findings of this study expand knowledge of social-environmental dynamics that explain community variations in risk for and protection from child maltreatment. Implications for community-focused child maltreatment prevention interventions will be discussed. Dr. Amy He serves as an Assistant Professor at the University of Denver, Graduate School of Social Work. Dr. He's research and scholarship focuses on both local and national cross-systems collaboration between child welfare and specialized service systems (e.g. substance abuse, mental health, juvenile justice). Her current research examines the impact of social dynamics on neighborhood rates of child maltreatment. Through this research agenda, Dr. He strives to develop collaborative practices aimed towards child maltreatment prevention and intervention at the community level. The Early Childhood Colorado Partnership supports partners to identify areas of alignment for Colorado early childhood systems efforts to support cross-sector collaboration and engage in shared learning at the agency, community, and statewide level, using the Early Childhood Colorado Framework as a guide. The deadline to apply is 5:00 pm MDT on April 17th, 2017. Our hope is that partners across the state use the Shared Message Platform to leverage their work with consistent messaging when discussing early childhood adversity and toxic stress to keep shifting social norms toward positive social change for family and child well-being in Colorado. Be sure to share how YOUR community is utilizing the shared messaging by adding your information to the Early Childhood Messaging Campaign Map. Simply scroll down to the form below the map and add your information. Also see how others in Colorado are using the platform by clicking on a pin on the map. For additional information or support on using the Campaign Map, email earlychildhood@civiccanopy.org.